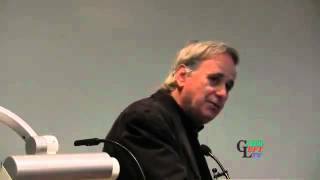 Celebrated historian, Ilan Pappe who wrote "The Ethnic Cleansing of Palestine" that documented the 1948 removal of 700,000 Palestinians from their lands, has now written about "The Forgotten Palestinians". In the book, and at this September 16 community meeting at Sydney University, Pappe reveals the situation for the Palestinians who still live within the Israeli apartheid in historical Palestine. This was the first event of Professor Pappe's 2012 Australian lecture tour. It was hosted by the Sydney Peace Foundation at the University of Sydney with the Coalition for Justice and Peace in Palestine and Leichhardt Friends of Hebron. Professor Pappe is in Australia as the guest of AFOPA to deliver the annual Edward Said Memorial Lecture at the University of Adelaide. Film by Green Left TV. Watch it, subscribe to it, film it, support it.